Nothing makes me happier than being in a toasty ski chalet, beer in hand, beanie on, music playing, legs sore from the slopes, and knowing that you’re going to do it all again tomorrow (maybe with a slightly fuzzier head). Our client wanted to bring together people who may just nod at one another in the corridor, and nothing does that better than chucking people down a ski slope with planks strapped to their feet. Stratford-upon-Avon is, regretfully, dramatically lacking in mountains, so we built Chalet Cour de Cox instead; and gave them a true Alpine Après Ski experience. 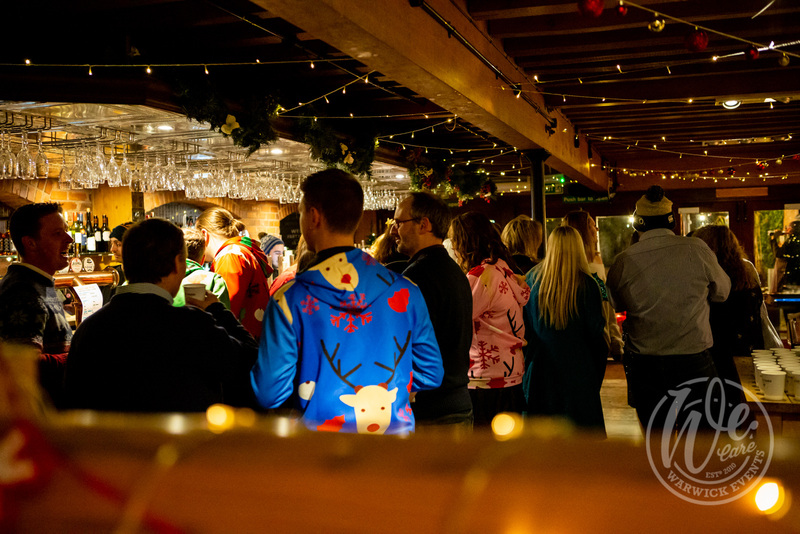 Guests showed their specially designed ski pass to gain entry to a night of Alpine food, a forest of real Christmas trees, specially designed cocktails (named after a treasured former colleague), a homemade (and sometimes pretty imaginative) Christmas jumper competition, beer mat flipping contests and so much more. We even had a spontaneous dance off. Hidden food stations throughout the chalet kept everyone bouncing between unlimited rosti, soups, stews, goulash, raclette, hog roast and salads. Follow this with a build your own dessert station with boundless toppings for homemade waffles, pancakes and doughnuts and everyone’s stuffed. Or so they think. People didn’t seem too full when we brought round late-night fries and mayo to refuel the dancers. 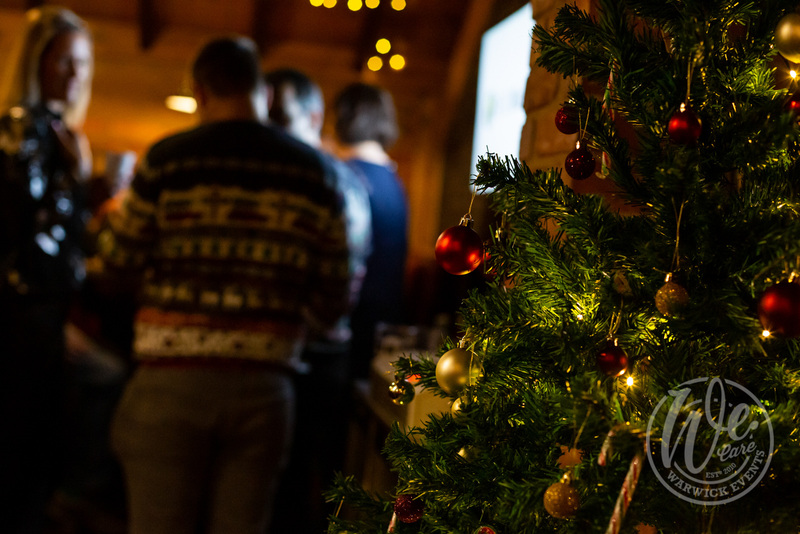 For those wanting to escape the cheesy hits and flailing arms of the dancefloor, we created a ‘chill out zone’ where people could enjoy a boozey hot drink whilst wrapped in blankets and surrounded by flickering candle light. All this, for the same price per head as buying a table in a chilly conference hall, where conversations are stilted and people try to slip away as soon as desserts are eaten. I know which one I’d rather attend.